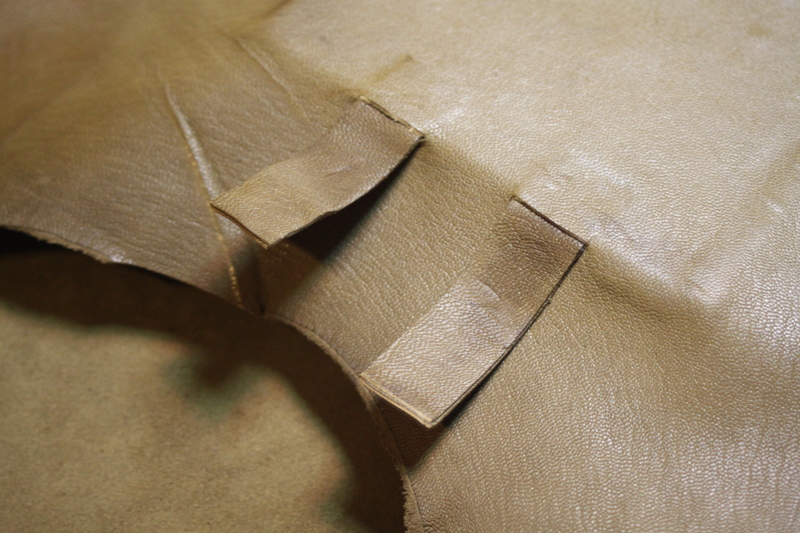 So with the block completed, the block is ready for covering. Which is infinitely more difficult than I had anticipated. European-style binders, I respect you in new ways now. 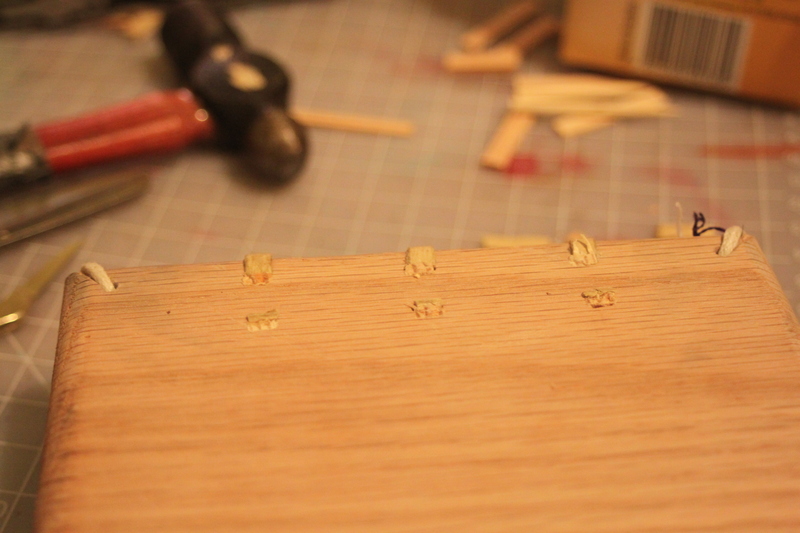 You can also see the placement of the pegs, which help keep the supports in place. 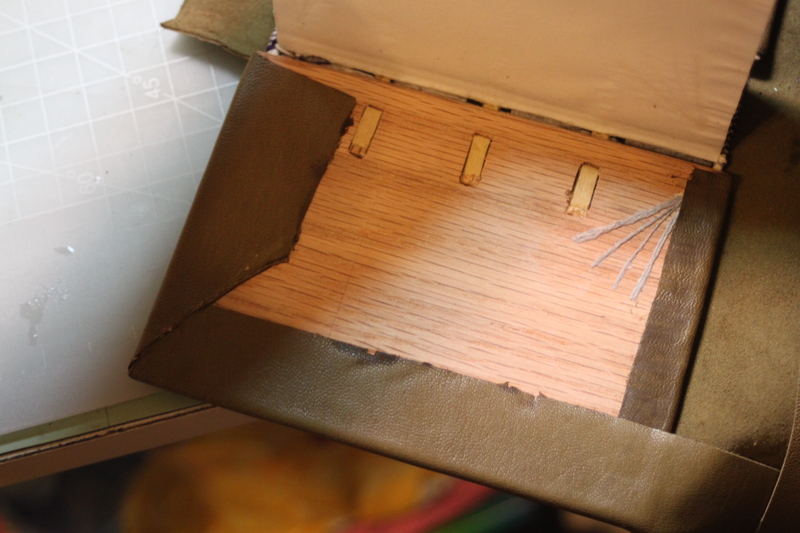 Also you can see where one of the endband cords has been threaded into the block and (presumably) glued to the inside face of the cover board. 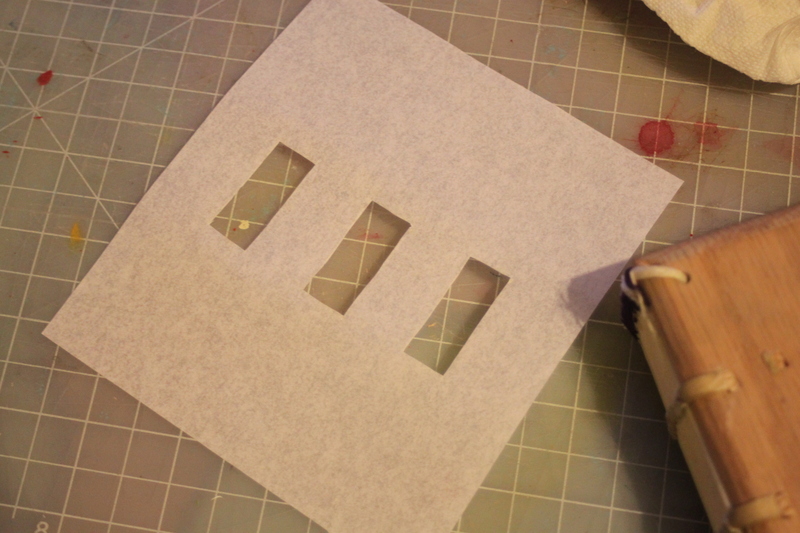 I used a very small, fine file to smooth out the surface when I was done. 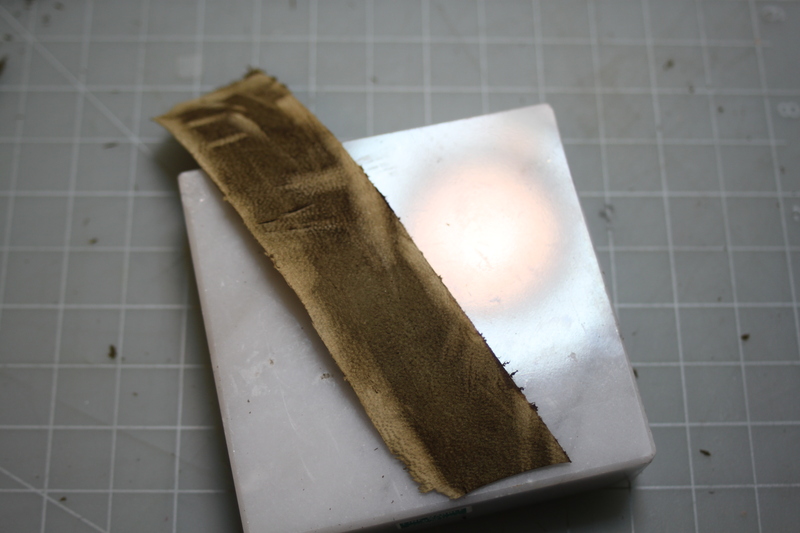 Another step that one is supposed to complete is to plaster the inside with gesso, but I cannot figure out how to get it to be the correct consistency, so that’s a step that will have to wait until the next book, when I have a little more time to experiment. 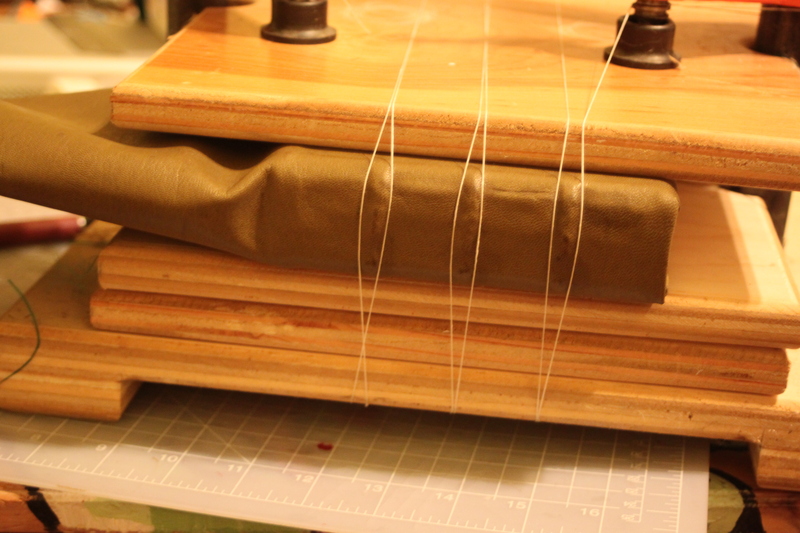 You can see two extra things in this picture: one, that the fake parchment isn’t ideal (but will work in a pinch) and two, that I carved out channels for the straps to go into, so they wouldn’t show too badly under the covering leather. These were a major PITA to get to stay in place. I even scored both the leather and wood beforehand! Aargh. I had to re-glue them at least four times before they took. Further note to save you trouble: using a long, breakaway-style utility knife blade without the handle because you bought the wrong sized blades? Not the easiest thing. Using said blade with the handle? MUCH BETTER. 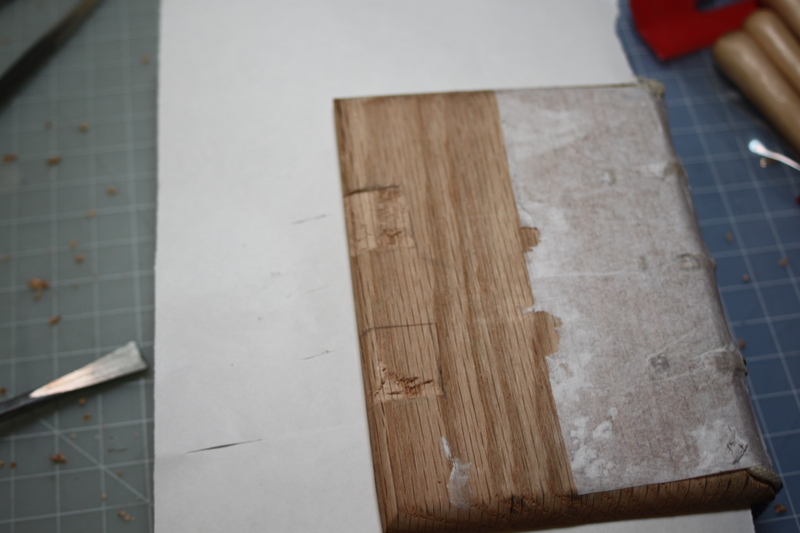 I have yet to figure out a good tool to use for hand-skiving, but when I do, I will let you know. I like to share knowledge. 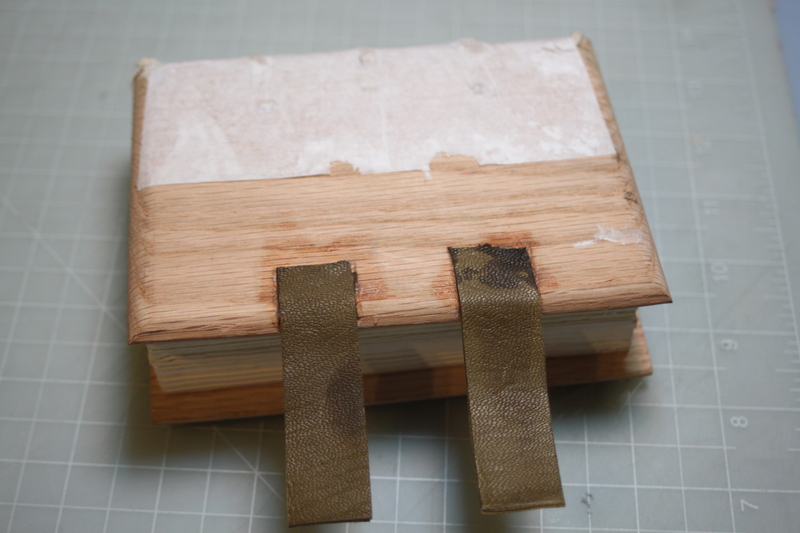 So then came the gluing of the actual cover, which involved a tricky bit of cutting little slits for the straps (and then gluing them in place YET AGAIN). Not too shabby, in the end. Yeah, I probably could have made those more even, but I ended up covering them anyway, so whatever. And that’s the end of that day, as I left it overnight and into the next evening so it could dry. Learned also: skiving leather makes your arms tired. 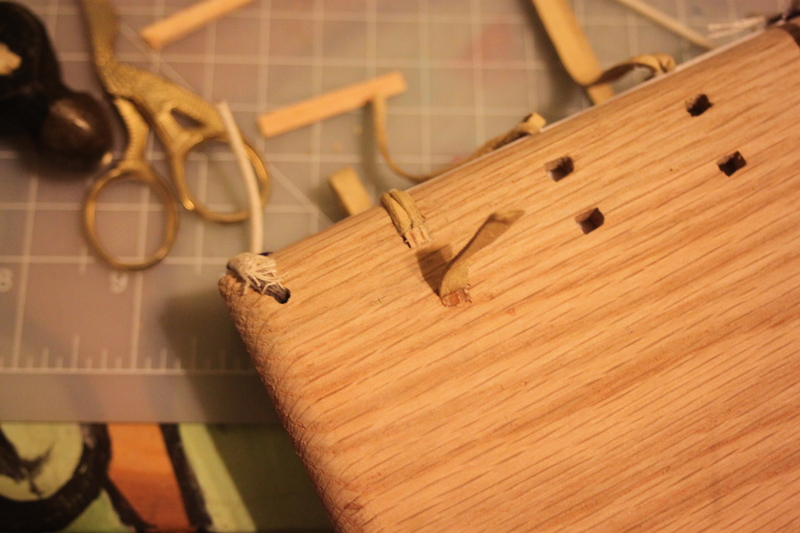 Tomorrow is the final bits – the brass fittings, flap, endleaves and knot. 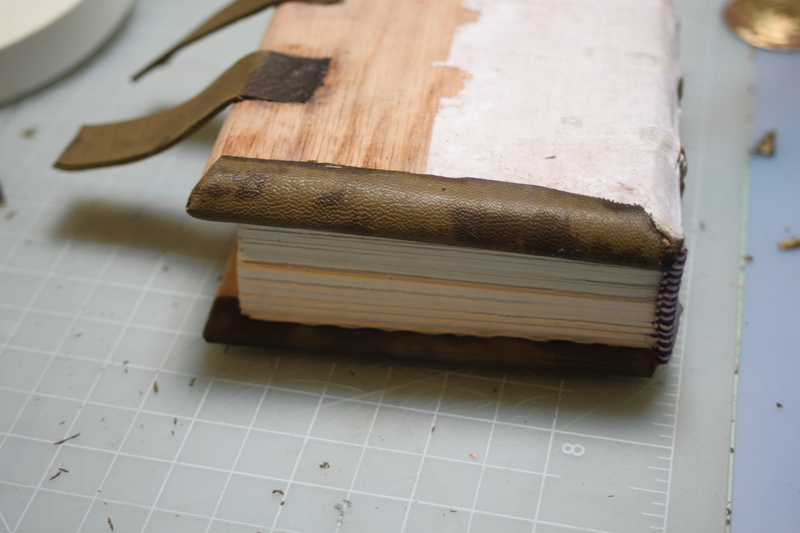 This entry was posted in book, bookbinding, medieval, sca and tagged book, bookbinding, craft, gothic, medieval, sca. Bookmark the permalink. The book is absolutely beautiful, and I so appreciate knowing and understanding the artistry and labor that went into creating it. As I was reading, I thought of a past colleague of mine. Suzanne Sawyer makes papers and books and many more pieces of mind-blowing art. You can see some of her more recent work here: http://downhomegirlstudio.com/home.html Hope you enjoy. I cannot wait to read more of your posts. I scanned the images, and I am really looking forward to learning about what you were doing with those dyes…among those tents. Thank you! I need to post part 2, in which I actually finish the piece, and also progress on the other book I’m working on. 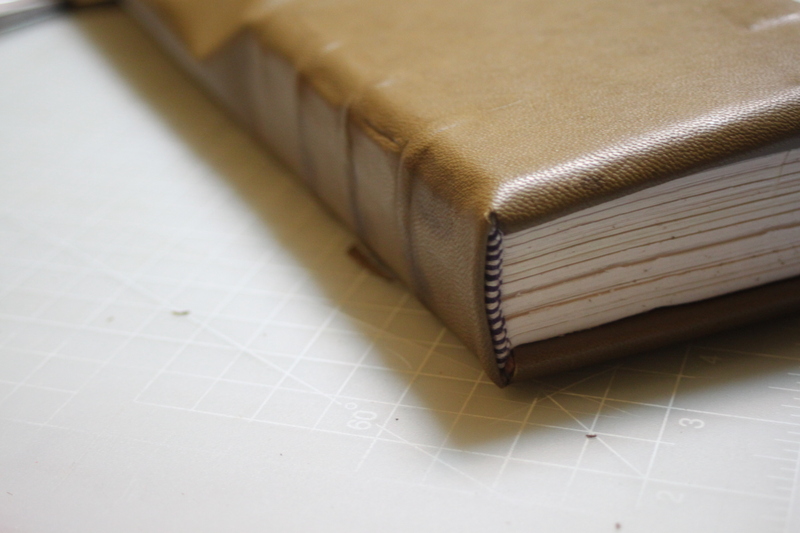 I hope to get some photos of the class I’m teaching next week, which is a beginner’s binding class (and a great way to show people that bookbinding is easy, accessible, and satisfying). I need to get past the draft posts and get on to actual published content!